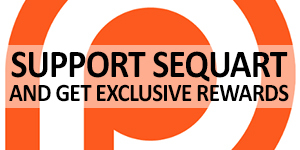 Sequential, an iPad app for reading comics, is having a great summer sale on dozens of indie comics titles this month, and if those sorts of comics are to your taste, there’s quite a bit to enjoy at very low prices. 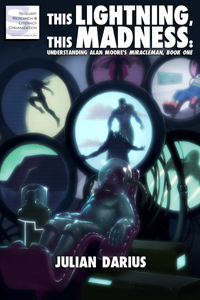 Looking through the list of on-sale titles reveals an embarrassment of comics riches, including books from well-known creators such as Alan Moore (From Hell and every volume of The League of Extraordinary Gentlemen are on sale) and lesser-known but still great creators working in a wide variety of genres. Here’s a list of ten titles from the sale that would form a great cornerstone to any digital (or print, for that matter) comics collection. Have you ever wanted to get a bit more conversant in the big-name philosophers, beyond the Monty Python song? 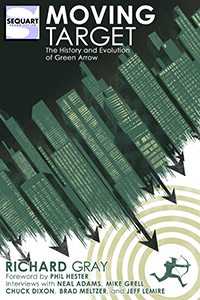 This is a great place to start, with entertaining and academically accurate vignettes and descriptions in this Dark Horse release by Fred van Lente and Ryan Dunlavey. Ian Williams’ The Bad Doctor is a major work in the growing field of Graphic Medicine, which blends comics and healthcare to help re-frame both the patient and the physician experience. It’s a great movement that helps people represent illness, but Williams’ book tells the story from a doctor’s perspective, and he is as honest and self-deprecating as one could possibly want. Moving and hilarious, The Bad Doctor is one of the best comics of the decade. INJ Culbard adapts HP Lovecraft’s 1936 text to illustrate one of the seminal works of 20th century science fiction, combining arctic exploration and all its challenges with the deep psychological and spiritual themes one always finds with Lovecraft. A true work of creative imagination. One of Will Eisner’s final masterpieces, Fagin the Jew presents an interview between Charles Dickens and his ethnically problematic character, in which Fagin tells his own life story. 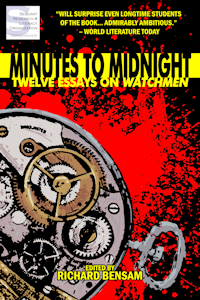 Eisner was always seeking to broaden the scope of comics to include “serious” literature and history, and this book is a great contribution by an undisputed master. I’ve written extensively here on Sequart about Vivek Tiwary’s The Fifth Beatle, so of course it earns yet another endorsement. Although the hardcover is a gorgeous work of art, even digitally this moving and surprisingly timely exploration of the life of Brian Epstein is well worth having. With art by Kyle Baker and Andrew Robinson, this book takes you on a parallel journey through the rise of the greatest of all rock groups, and the toll it took on their sensitive, lonely manager. 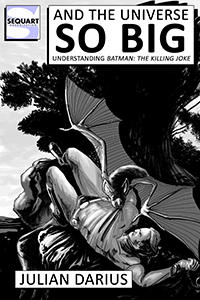 Rick Geary’s unique style of historical and biographical comics storytelling is on fine display here, as he re-traces one of the most famous crimes of the early 20th century: the kidnapping and murder of Charles Lindbergh’s infant son. The crime was never really solved, and the mystery remains to this day, with much to say about the emergence of American celebrity and obsession. Lost Dogs was the comic that introduced the world to the talents of Jeff Lemire, and here it is presented in all 103 pages, telling a powerful story of a giant man whose life took so many tragic twists. Lemire’s style is raw, unsettling and unforgettable, and reminds us of why he still is one of the top comics creators working today. Roberto Clemente was much more than a baseball star, although his skills in the sport were absolutely exemplary, a true hall of fame legend. What made him an amazing human being was his tough core and his deep commitment to his culture and his people. Wilfred Santiago tells the whole story of his life here, from his childhood in Puerto Rico to his heroic and tragic death in 1972. Clemente was a true legend, and like all legends, his story is powerfully told in comics. Here in Canada, Essex County was voted one of the top Canadian novels of the past decade. Not “Graphic” novel, but simply a novel. Thus is the extent of Jeff Lemiere’s achievement, telling a fictionalized version of his childhood in Ontario through this trilogy of stories. Moving and deeply personal, Essex County belongs in every serious comics collection. Comics are an interesting medium to say the least. With film, we have lots of supplementary information, making-of documentaries, press coverage with comments from cast and crew, even deleted scenes with which to expand our knowledge and appreciation of the original work. But generally in literature, those “extra features” aren’t provided, except in very rare cases, usually generated from scholarship. 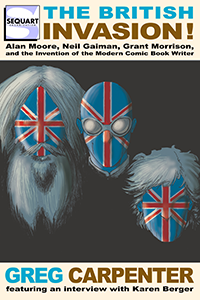 The From Hell Companion is thus rather special, offering everything we could possibly want from an in-depth behind-the-scenes look at the creation of a comic, the monumental book by Alan Moore and Eddie Campbell. Moore is his usual reclusive self, even in these pages, but Campbell offers a slew of insight and rare materials, including scenes that didn’t make the “final cut” and samples of Moore’s correspondence, displaying his trademark dark wit. For anyone interested in how comics are made, this is an invaluable resource. Of course, there are plenty of other titles on sale from Sequential (including Mind MGMT), but any collection featuring these ten titles would be a great pathway into the world of independent work in our favourite medium. Tagged Alan Moore, Graphic Medicine, H.P. Lovecraft, INJ Culbard, Jeff Lemire, Sequential, The Fifth Beatle, Vivek Tiwary, Will Eisner. Bookmark the permalink.